Soak up the sun without soaking in sweat. 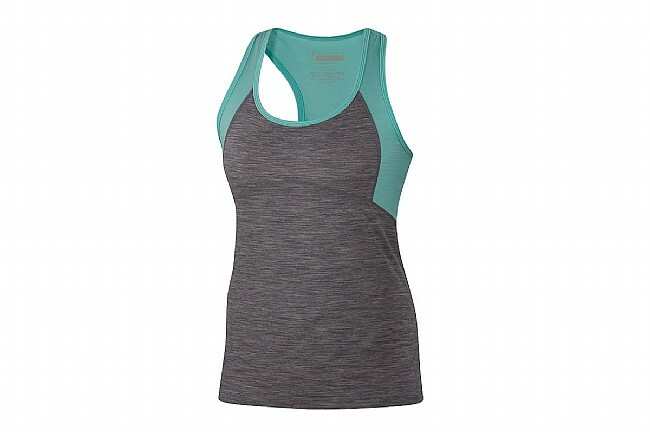 Whether you're out on a head-clearing hike or a lung-busting run, the Ibex Women's Racerback Tank will keep you cool and comfortable. The lightweight, breathable Weightless Wool construction hugs the curves of your body, wicking away moisture and perspiration to keep you cool through the toughest workouts. At just 18.5 microns thick, the Merino-wound nylon fibers are just 20% the diameter of a human hair for an itch-free fit, complemented by the flatlock seams and tag-free design. Chest 33"-0" 34"-35" 36"-37" 38½"-40" 41½"-0" 0"
Sleeve Length 29"-0" 30"-31" 31"-31½" 31"-31½" 31½"-0" 0"
Waist 24½"-25½" 26½"-27½" 28½"-29½" 31"-32½" 34"-0" 0"
Hips 34½"-0" 36½"-37½" 38½"-39½" 41"-42½" 0" 0"
Inseam 29"-30" 30"-31" 31½"-0" 31½"-0" 31½"-0" 0"